Why Is the NLRB So Interested in Social Media? When the National Labor Relations Act (NLRA) was enacted in 1935, Congress could not have anticipated the eventual influence on social media, let alone conceive of the Internet. And Mark Zuckerberg, as he launched “Thefacebook” out of his Harvard dorm room in 2004, could not have predicted his site’s ensuing ubiquity, the controversy it would cause in the workplace, or its vast legal ramifications. Yet here we are in 2015, tasking 80-year-old legislation, along with its agency—the National Labor Relations Board (NLRB)—to regulate and issue guidance around a uniquely contemporary issue: job-related social media use. 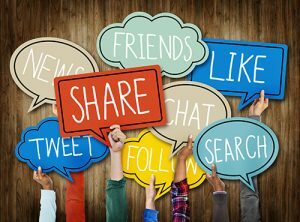 In this three-part series of articles, I will explore why the NLRB is interested in social media, review several of the NLRB General Counsel’s memos, highlightimportant associated cases, and explain the agency’s sometimes-vague social media guidance for employers. What Are the NLRA and NLRB? The NLRA gives employees the right to join together to address issues on the job such as pay and working conditions and is applicable to all workforces, not only those that are unionized. Section 7 of the NLRA allows employees to “form, join, decertify, or assist a labor organization, and to bargain collectively through representatives of their own choosing, or”—importantly—“to refrain from such activities.” Section 8(a)(1) of the NLRA forbids employers and labor organizations alike from interfering in the exercise of these rights, including employees’ liberty to not get involved in collective action if they so choose. The NLRB, meanwhile, is an independent federal agency whose role is to enforce the NLRA. It protects employees’ rights by investigating charges, issuing decisions, and facilitating elections and settlements, all linked to collective bargaining and unfair labor practices. Why Is the NLRB Interested in Social Media? The NLRA’s protections cover some work-related discussions occurring on platforms such as Twitter, LinkedIn, Instagram, and Facebook, but this purview was established only fairly recently. It was in 2010 that the NLRB began to receive the first unfair labor practice charges brought by employees against their employers’ social media policies. Aside from their general grievances, some members of the workforce submitted complaints about disciplinary actions their employers had taken in reaction to specific posts on Facebook. The NLRB had several important and unprecedented questions to consider: Could an employer intervene in or spy on an employee’s social media activity? Which kinds of online conversation (if any) could be considered “self-organization” or “concerted activities for the purpose of collective bargaining or other mutual aid or protection” and thus protected by Sections 7 and 8(a)(1) of the NLRA? And what rules or guidelines should an employer follow to ensure compliance with the law? After conducting investigations into dozens of cases, the agency determined that yes, some disciplinary actions and codes of conduct had indeed violated federal labor law. Other communications, however, had not; they did not constitute protected actions or speech. To clarify the distinction, the NLRB’s General Counsel issued a report on August 18, 2011, which illustrated 14 social media cases. The agency’s legal department followed up the 2011 memo with two more in 2012. To access the NLRB’s memos, click here.